Our Curve Handle Frozen Yogurt dessert spoons are perfect for any treat. 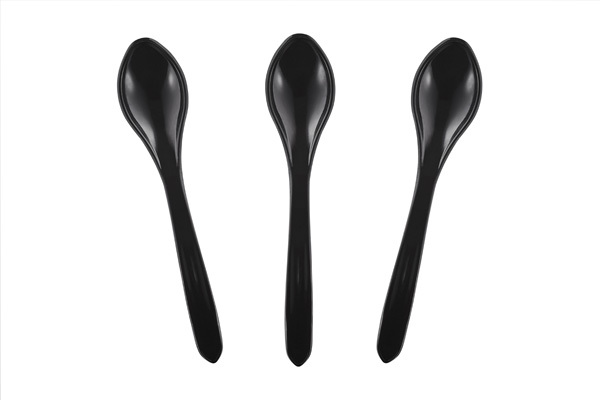 With the elegant curve in the handle of these spoons, your customers will love the feel of these spoons in their hands. Featured are our in-stock colors that are available everyday, however if you are needing a special color match for your shop we can match any color for you. Our Curve Frozen Yogurt Spoons are made of the highest quality FDA approved polystyrene plastic, 100% BPA free and manufactured in the USA. These spoons measure a bit over 5.5 inches in length and are packed 1000 spoons per case (10 bags of 100 spoons per case). With the largest available selection of frozen yogurt spoons, ice cream spoons, gelato spoons and taster spoons DV Plastics manufactures any type of spoon you need for your frozen dessert shop.